This past summer, my dad and I finished the last section of the Northern three states on the Appalachian Trail — Vermont, New Hampshire and Maine. Our route took us through babbling streams, over scenic vistas at the tops of mountains and past quiet, sky-blue lakes gleaming from the light of the sun’s rays. The week-long backpacking trip was an escape from the busyness of everyday life, and a chance to enjoy the simplicity of getting up every morning to go on a hike through the woods. And after a summer internship spent writing about the state of U.S. politics, the peacefulness and solitude of this remote stretch of trail was exactly what I needed. While hiking a section of the Appalachian Trail was my way of connecting with the natural world, many others have come to appreciate the beauty of wilderness after visiting the designated spaces set aside for the preservation of the country’s natural wonders: our National Park system. Consisting of 417 areas and covering more than 84 million acres, the National Park system conserves spaces deemed to have particular beauty and natural value. But despite its existing protections, the National Park system is still vulnerable to the whims of politics. And never has it been more at risk than it is now with the election of a president whose administration seems to care nothing for nature or wilderness. In April of 2017, President Donald Trump ordered the Secretary of the Interior, Ryan Zinke, to review any national monument that had been created since the beginning of 1996 that extended at least 100,000 acres. The review ended up including 24 national monuments. A few months later in August, Zinke recommended changes to 10 national monuments. The changes proposed included lifting some restrictions on commercial activity inside those sites as well as shrinking the boundaries of at least four. Trump has already officially announced significant reductions to the boundaries of two of the sites targeted — Bears Ears and Grand Staircase-Escalante National Monuments in Utah. Making those sites and others smaller will allow commercial companies — such as oil and gas corporations — to buy up the land and use it for fossil fuel extraction, defeating the purpose of protecting the land for present and future generations. Shrinking national monuments isn’t the only action Trump has taken against public lands, though. The Trump administration has also proposed lifting a 20-year ban on uranium mining in lands surrounding the Grand Canyon and has worked toward permitting drilling in the Arctic National Wildlife Refuge. Overall, Trump’s policies on public lands have the potential to roll back decades of work to conserve land. Terry Tempest Williams, an environmental activist who has written extensively about the importance of public lands, said the Trump administration’s attack on wilderness areas and active attempt to shrink national monuments is unprecedented and will be extremely damaging. But it’s not just Trump’s actions against public lands that are concerning. Given his posture toward existing public lands, it’s unlikely he will be setting aside additional land to be preserved during his presidency. And this, according to a project by the Center for American Progress called “The Disappearing West,” is a problem. Data compiled by members of the project shows that every 2.5 minutes, the Western United States loses “a football field’s worth of natural area to human development.” An obvious way to prevent more land from being developed is to preserve sections of territory as national parks or monuments. 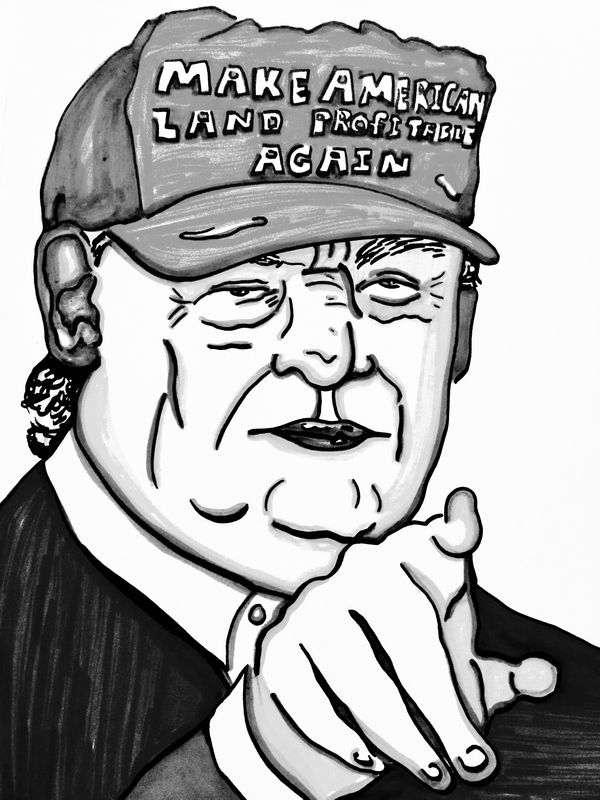 In this way, Trump’s predecessor, President Obama, protected more land — much of which was in the West — from development than any other president. 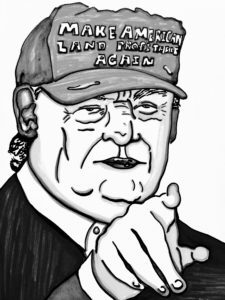 However, given Trump’s policies thus far, it is unlikely that this protection of land will continue. So why should protecting public lands and wilderness from the Trump administration’s attacks be a priority? Williams argues that the preservation of wilderness and public lands is crucial to the health of the country and of society. Aaron Weiss, the media director at the Center for Western Priorities — a land conservation organization — argues that the protection of land has led to the preservation of some of the United States’ most famous and striking landmarks, such as the Grand Canyon — protected by President Theodore Roosevelt in 1908 even after there was pressure to open up the site for the mining of minerals. Furthermore, the fight to conserve public land is also part of the larger battle to stop the development of additional land by large corporations that contribute to global warming. “The bigger picture in terms of conservation comes down to climate change and the need to truly protect our planet for future generations,” Weiss said. In addition, for Christine Hazard, senior manager of policy information at the National Parks Conservation Association, protecting public lands is a way of preserving U.S. history — both the positive parts and the negative. In the face of Trump’s attacks on public lands and the National Park system, conservation activists are devising ways of fighting back. One primary method has been through the court system. Following Trump’s decision to shrink Bears Ears, five Indigenous Peoples’ tribes — the Hopi, Navajo Nation, Ute Mountain Ute Tribe, Pueblo of Zuni and the Ute Indian Tribe — have pledged to file suit over the decision, arguing that the president doesn’t have the authority to modify an existing national monument. In addition, in April, outdoor clothes manufacturer Patagonia threatened to sue the president if he chose to shrink land designated for protection. Along with a legal challenge to Trump’s public land policy, Weiss said that those concerned about the future of natural areas should contact members of Congress from both parties. “Making sure they understand [public lands] are important to you is the number one thing you can do,” he said. In this vein, many members of the public took full advantage of the opportunity to make sure the Trump administration knew how they felt about its plan to review national monuments. During a two month comment period on the plan, the Department of Interior received 2.5 million responses, the overwhelming majority of which expressed support for maintaining or expanding the boundaries of national monuments. While Hazard said she was heartened by the number of comments on the plan and believes it represents an example of the level of support the National Park system has with the public, she does worry about whether all the various outrages the Trump administration’s policies have generated will cause land conservation to fly under the radar in the future. “The more stuff that’s going on, the harder it is to get people to focus, and a lot of the other things going on are really important,” she said. For her part, Williams argues that it is important for individual people to stand up against the destruction of public lands and engage in direct action and protests. She added that young people — as those who will have to grapple with the fallout from the environmental policies of today — have an important role in speaking out on the issue of public lands. Overall, Williams said in the battle to conserve public lands, those who care about wilderness must fight to protect what they love, as those they are up against have shown a blatant disregard for the natural world.